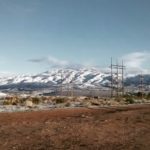 If you happen to find yourself visiting or even better living in Reno and you are looking for a place to get out and venture you will be a happy runner. 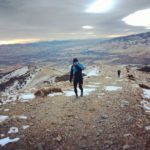 Reno is a superb location for trail running with trails for all types and for all season. The options and variety are endless. 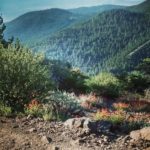 Despite the fact that Reno is located right next to Lake Tahoe and it’s wonderful wilderness many locals are perfectly happy with Reno’s trails choices. So if you are looking for a flat long trail look no further than our only flat trail the “Ditch Trail”. The Ditch Trail winds through the upper parts of Reno before running alongside the hill west of Reno next to the Truckee River. 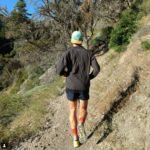 The Ditch trail is a favorite amongst runners seeking flat terrain, running a tempo where they want to focus on their pace or simply recover on a non-pavement surface. It is also great for running intervals or fartleks if that is your thing. The western portion of this trail can be pretty exposed and windy while the the eastern section located in neighborhoods is often sheltered more. If you hit this trail at the end of summer you may also be able to snag some blackberries that grow wild along the trail for a mid run snack. The best place to park and begin your run is probably HERE. If you are looking for a little more variation and maybe are close to downtown than you will want to go to Rancho San Rafael Park. This park blows my mind because it is right next to the University of Nevada, Reno yet also right next to Humboldt-Toiyabe National Forest land. From this park is a vast network of 50 miles of trails that extends all the way to the summit of Peavine Mountain and beyond. So from Downtown Reno you can travel one mile and be on endless trails that make it feel like you are instantly in the wild. And that is because you are! To visit the park and start your run go HERE. Lets say it is summer and you only are able to get a run in during the middle of the day. A lot of trails in Reno expose you to our wonderful sunshiny days that we have but it can be a bit warm in the summer sun. You may want to head a little further south and just to the west of the Reno Running Company store that I’m sure you will visit anyways and run the Dry Pond Loop. This area is very popular because it really feels like you are up in the mountains and in the forest, yet very close to Reno still. The trail is well maintained and the views are breathtaking. There is a bit of climbing, but nothing too bad. Start your Run HERE. If you are looking for something a little steeper and more challenging the Hunter Creek Trail is also very popular. This trail can become more heavily trafficked on the weekends but for a good reason. The prize at the end of this trail is a beautiful waterfall. 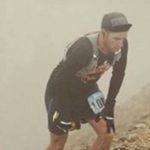 If you are looking for something challenging, scenic and Instagram worthy run this trail. This is also a great trail to simply hike. Be careful crossing the creek which requires some fancy foot work from rock to rock and once at the top you will need to cross a log which is about 10ft above the creek. The trailhead starts HERE. If you are looking for something even steeper and longer some of the more serious local mountain runners often visit Chalk Canyon. This trail is relentless and climbs about 2.5k feet to the summit of Peavine. Don’t be afraid to give it a shot because the views of Truckee Meadows and Reno are amazing. You will most likely see deer that live in the higher desert environment. You may want to carry a windbreaker or something warmer because it is often 10-20 degrees cooler at the summit and is always windy. This trail runs up Chalk Canyon for the first 2/3 then up a ridge line to the summit. To start this run go HERE. I hope this gets you out enjoying our backyard! 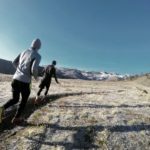 And if you have any questions many of the staff at Reno Running Company could certainly help with trail recommendations and if you are looking for someone to run with they may be able to find someone to get out there with you.